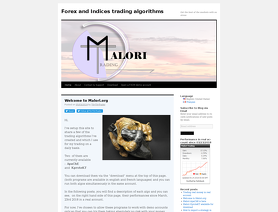 Malori.org develops automated forex trading software for the MetaTrader platform. Malori.org 's EAs include ApaChE and KproteKT for online currency trading. ApaChE is a scalper, and KproteKT works best on EUR/USD.